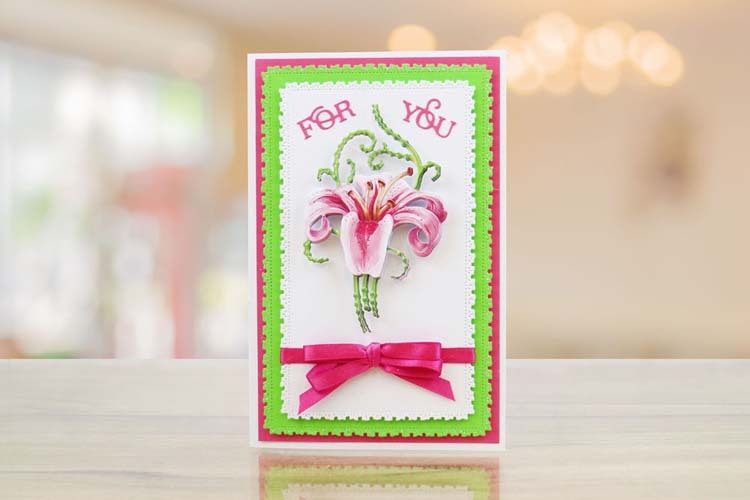 The Tattered Lace Lush Lillies Die features a single lily that makes a great topper, embellishment or focal point, adding to the versatility of this die. 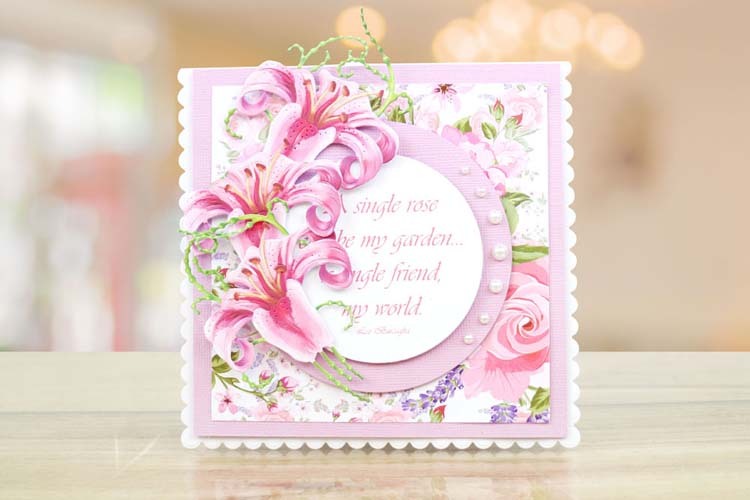 Flowers are a very popular design throughout many crafting themes and this die would make a great addition to your collection. 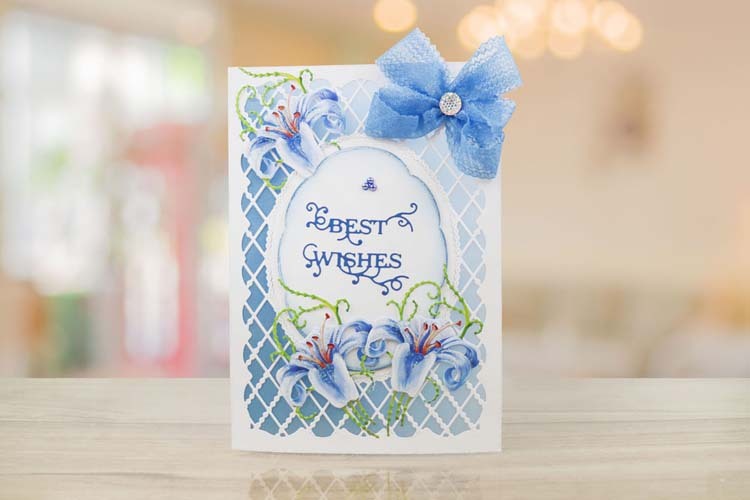 Cut from white cardstock and colour in with your favourite pens to create your own personalised design. 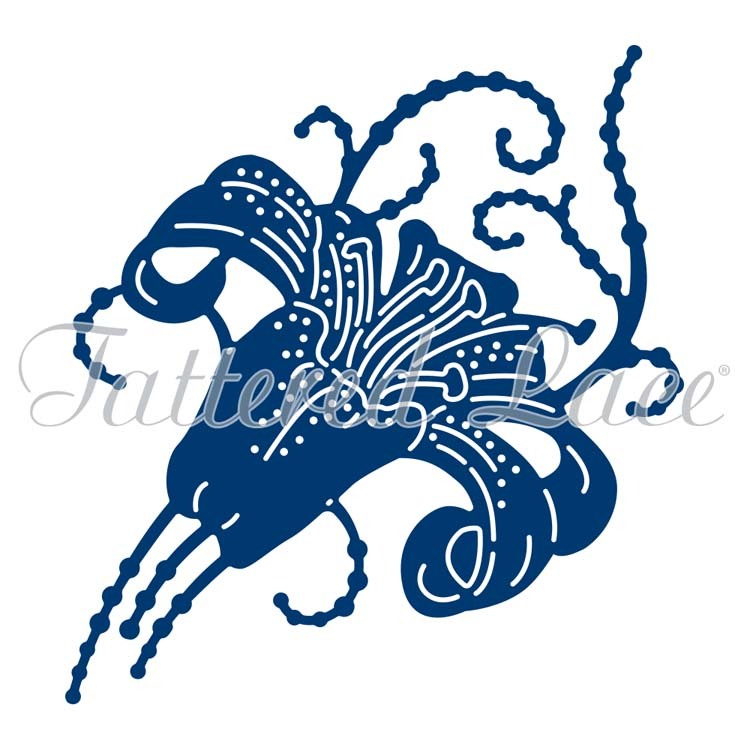 This die measures approx: 2.75" x 2.93"